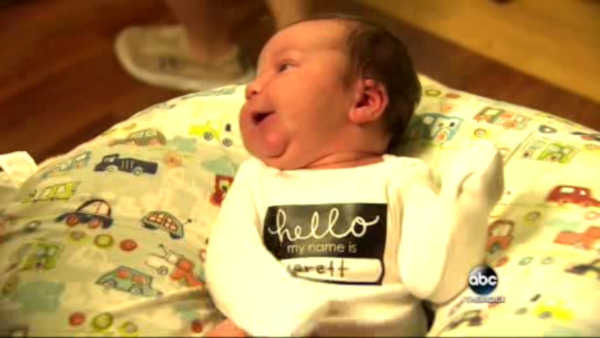 MONTGOMERY COUNTY, Texas (WABC) -- One dad got his Father's Day Gift a bit earlier this year, and he delivered it himself. 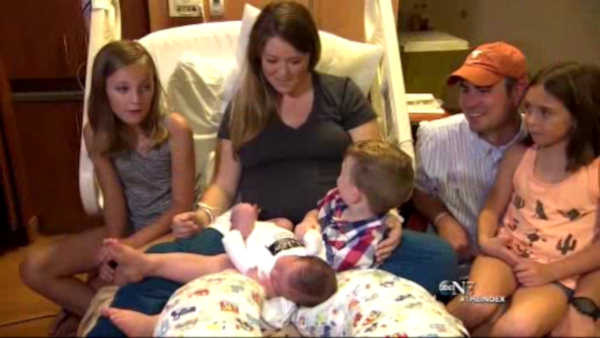 The whole family was packed in the car headed to a hospital in Texas, when Dad had to pull over and deliver the baby himself. The couple's three children cheered him on from the backseat. He says he was nervous, but relied on his medical training from the military, and the delivery of his second child to get him through. Little Everett Asher Eakes and his mom are doing well.